Have you ever owned a gingerbread house with falling snow whenever you want it to snow? Well you can now with this Kurt Adler 120MM Musical Water ball! 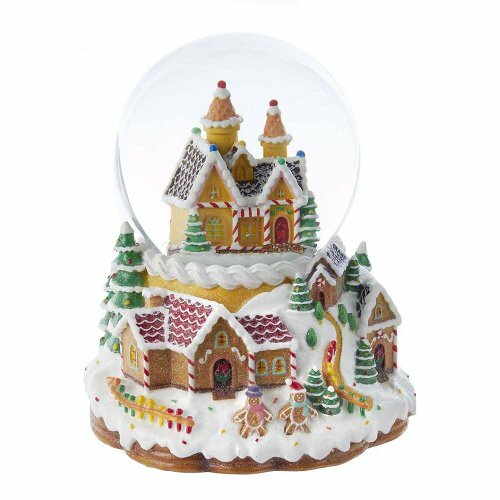 This water ball features a lit gingerbread house inside the dome with several snowy gingerbread houses and gingerbread men outside on the base. In addition to shaking the water ball to create a snow storm for the candy house, this ball also plays several musical tunes to complete the holiday setting.